Midsummer panfish patterns often become overlooked by some anglers as bass and walleye seasons open across the Midwest. Minnesota angler Tony Mariotti is widely renowned for his knack for finding panfish through the season and believes that mid to late summer can offer consistent action for both crappie and sunfish. “Typically the areas that produce panfish in July will hold fish all through the summer,” explains Mariotti. Pushing harder, we were able to get a few more secrets. 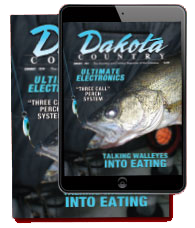 Mariotti extensively targets crappie and sunfish near his home in Detroit Lakes Minnesota but his strategies for success can work across the upper Midwest. On these clear natural lakes, deep weed lines hold panfish. Sharp breaking contours that coincide with tall green stands of weeds will attract fish regardless of lake. Mariotti explains even further. “Deep points and inside turns where a sharp break offers a deep weedline almost always holds panfish. What I like to look for is tall cabbage that is growing up in fifteen to twenty feet of water. If I can find tall cabbage, I almost always find nice crappie relating to the weed edge,” adds Mariotti. Mariotti will typically start on the edge and work down the break further away from the weed line but typically finds most of the fish right next to the tallest weeds that are positioned down the break. “We typically find sunfish running the top half of the school while the large crappies are often on the bottom. Typically, the crappie is right in the cabbage or in real close proximity. Often, there will be enough weeds below the boat where all you will be able to see on your electronics is weeds versus looking for a school of fish. The trick is often getting through the sunfish by fishing vertically right below the boat as the crappie typically ride below or under the sunfish. When targeting individual stands and edges of weeds, boat control can be paramount. Use the spot lock or even a marker buoy to hold right on top of these fish and keep your line straight up and down. 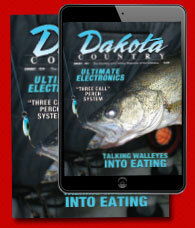 Mariotti stresses the importance of identifying what part of the water column you need to fish. “So often, we use tungsten jigs just so we can drop through the smaller fish at the top of the school.” Slip bobbers and small jigs will catch plenty of fish but slow falling jigs often catch so many small fish because an angler often has to get through or past unintended smaller fish. Tungsten paired with soft plastics work great for targeting the biggest crappie from the bottom of the school. Soft plastics like Kalin’s Crappie Scrub work perfectly for large crappie and sunfish. The tall cabbage is the key especially for the bigger crappies but these fish can get tangled up in the stalks. Remember that these good spots might have cabbage that is reaching up fifteen feet or more off the bottom. Heavier six to eight-pound mono is often necessary for lifting these fish quickly out of the stalks as these bigger fish will wrap up lighter line. Open pockets and lanes often hold these pods of bigger fish. Visualize where the shade is created by these taller weed clumps and look for break lines, troughs, gaps and holes in these weed lines. Through the summer, some of the biggest crappie we see each season are living in these deep weed locations. Jason Mitchell Outdoors airs on Fox Sports North at 9:00 am Sundays. More information can be found at www.jasonmitchelloutdoors.com. Photo Caption: Panfish guru Tony Mariotti with a great crappie caught using a Kalin’s Crappie Scrub.